It is perhaps the most apt time to compare the numerals of all the eight teams for they all have played the same number of matches as of now. 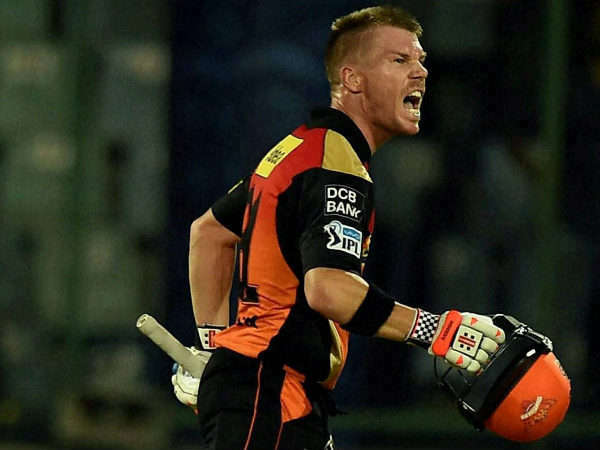 Only Royal Challengers Bangalore and SunRisers Hyderabad have played a match less as they were involved in a match which was abandoned without a ball being bowled. David Warner has been an instrumental run-scorer for Hyderabad at the top of the order. In a total of 55 completed matches, 30 matches were won by teams playing on their home turf and 25 were won by visiting teams. Any team in sports prefers its home venue above any other venue and the above stat is a reason for the same. Interestingly, the margin between both of them is not too large! In a total of 55 completed matches, 24 matches were won by teams who batted first and 31 matches were won by teams who chased. Chasing in the slam-bang version of cricket is often considered as a safe option for it provides the batsmen with the exact rate at which they have to score the runs. Gujarat Lions (2,406) have scored a run less than Mumbai Indians (2,407), who have scored the maximum number of runs in the league stage of this season of the IPL. The stat also depicts Lions' woes in their bowling department. One department has to be a certain failure for a team to score so many runs and yet end up at the second-last position in the points table. Royal Challengers Bangalore (2,033) have conceded the minimum number of runs in the league stage of this season of the IPL. The stat further depicts the liability of Royal Challengers Bangalore in their batting department. What bowling was for Lions, batting was for Royal Challengers in this IPL. Despite having some of the premier names of T20 cricket in their batting line-up, they scored the minimum number (1,845) of runs in the season. Virat Kohli and AB de Villiers alone, had scored 1,660 runs in the previous season. Imagine the difference! SunRisers Hyderabad (55) lost the minimum number of wickets in this season of the IPL. Over the past couple of years, the franchise has relied heavily on its top order and the stat is a confirmation for the same.